Welcome to the NEW Technodiamant Precision Tooling website! We are here to please. If you don’t see what you need, please contact us. Thanks for visiting Technodiamant Precision Tooling. Technodiamant was established in 1968 as a diamond tool manufacturer in Amsterdam. Our state of the art equipment and 70+ diamond craftsmen gives us a key advantage. 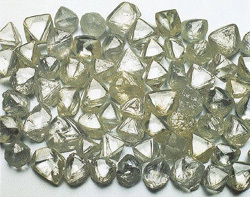 In 2002 we acquired a Company in Belgium that was specialized in producing diamond gem stones. They have polished some of the largest and most valuable gemstones. This acquisition allowed us to combine our experience in holding extremely tight tolerances on diamond tools with the craftsmanship of the experienced diamond gem polishers in Belgium. 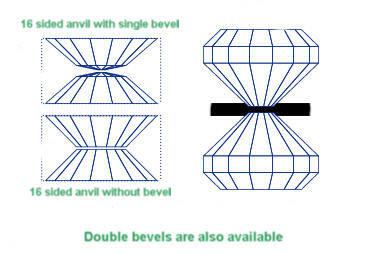 The result is a team that is capable of producing extremely complex and symmetrical diamond anvils. We produce quality anvils for Universities and National Laboratories around the world. Virtually any design that you can imagine can be provided, including “custom” designs at affordable prices. 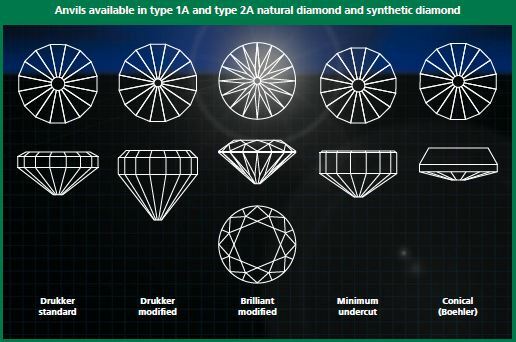 Type 1A and type 2A single crystal CVD diamonds are available. 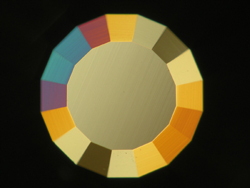 Virtually all of the diamonds that we use are either low birefringence or ultralow birefringence. 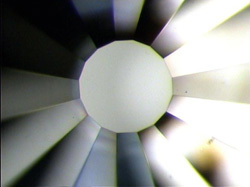 We classify birefringence by using a Berek Compensator. Value of <.0001 is considered “low” birefringence, and value <.00005 is deemed “ultralow” birefringence. Birefringence is measured after each cutting and polishing process to assure that the final product meets specified requirements. We also provide single or double bevels, and tolerances can be held to within a few microns. Standard parallelism between culet and table is <0.1 degrees. Please click the following link to send request and we will promptly respond with a quotation: Email link for anvil inquiry. We can also provide a drawing prior to manufacturing for your review and approval. Other diamond shapes (i.e. 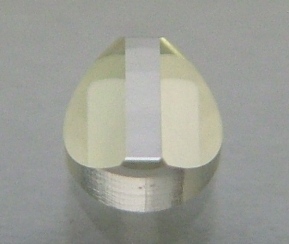 round, square, faceted) as well as hemispherical windows and ATR lenses are available. We can produce custom diamond ATR lenses. Please inquire on your specific requirement. Contact us and ask about our free evaluation of a set of anvils with no obligation to purchase!